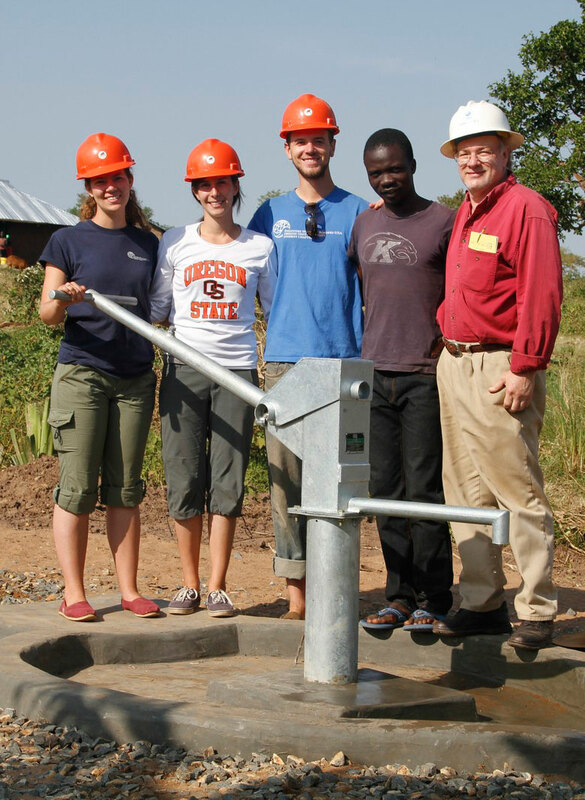 Undergraduate Opportunities in humanitarian engineering include research, projects, a minor, and various course offerings to take alone or within the minor. Students are encouraged to contact individual faculty in the program to determine if research opportunities are available. There are a variety of projects available including senior capstone design projects sponsored by our program and undergraduate theses for the honors college students. Watch for announcements about these opportunities on the website or contact facutly directly to inquire. Complete requirements for the minor can be found in the course catalog listing or HEST advising sheet. To enroll in the minor, please contact an engineering adviser in the College of Engineering Office of Student Services, 114 Johnson Hall, 541-737-5236 or via askengineering@oregonstate.edu. If you are interested in the minor, a good place to start is to select your Bacc Core courses from the humanitarian engineering, science and technology (HEST) playlist. Courses marked by a '+' are specifically recommended because of the relevance of the material or because they are taught by a HEST-affiliated faculty member. Note that HEST310, HEST320, and HEST 412/512 are all approved to fill Bacc Core requirements for any student on campus. The two required core courses for the minor are ANTH 482/582 Anthropology in International Development and HEST 411/511 Engineering Design in Emergency and Low-Resource Environments*. Other requirements for the minor include: at least 6 credits of other HEST-designated courses including those listed below; 11-14 credits from the HEST Bacc Core Playlist or other thematic electives with adviser approval; and participation in a humanitarian engineering related experience such as Engineers without Borders, a related capstone design project, honors thesis, undergraduate research, field immersion, OSU's Launch Academy, or related internship of your choice. If you are need more advising on the minor, please start with CoE advising, and then as needed contact students in the Humanitarian Engineering Lab (Rogers 342), Dr. MacCarty, or Dr. Sharp directly. *Due to instructional constraints, HEST 411/511 will not be offered this academic year. If you are graduating and wish to complete the minor between now and Spring 2018, you may substitute HEST412/512 for HEST411/511. N/A -- we were unable to offer HEST310 this Fall because of faculty sabbatical. We regret the interruption but look forward to offering HEST310 again in 2018-2019. HEST 320 Engineering for Global Health Solutions, Dr. Elain Fu. More details. HEST 412/512 Multidisciplinary Perspectives on Case Studies in Humanitarian Engineering, Science and Technology, E-Campus, Dr. Carolyn Fonyo. More details. Look for one more technical HEST course to be announced in Mech Eng! SP18 AND SU 18: HEST 241/242/599 Field Course: Household Energy in Guatemala. Includes a prep course in SP18 and then a field portion in SU18. Contact Dr. Nordica MacCarty for more information. Also check out this blog post about the field course activities in 2016. More details.